This idyllic farm located away from the noise of busy streets is located in the heart of Usedom Island. 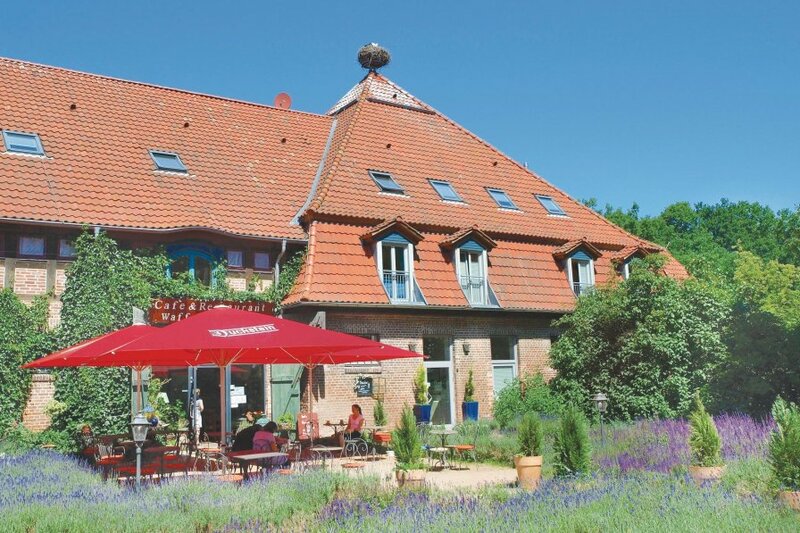 This idyllic farm located away from the noise of busy streets is located in the heart of Usedom Island. The cobblestone pathway lined with linden trees leads to a manor house that has a yard with inviting lavender fragrance. Enjoy a wonderful holiday in this home with the pair of storks on the roof. Acht Lake and the imperial spa of Bansin, Ahlbeck and Heringsdorf are located near this farm, which is an ideal starting point to explore the entire island. Enjoy delicious food in the restaurants. A fresh grain waffle bakery in this resort has been awarded several times as “Der Feinschmecker” for its special quality. A small holiday resort called Old Forge with a pretty restaurant and a country store is located nearby. The wheelchair accessible apartments DMU120-DMU123 are in this property. The apartments can be reached through a spiral staircase from the yard. The apartments are duplex with over two floors and are comfortably furnished. 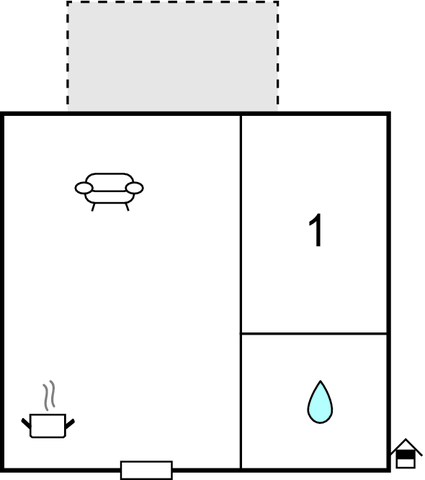 Bedrooms are on the top floor and a couch that can be converted into a sofa bed for 2 people is available in the living room. Some of the offers in this resort are: Sailing tours, carriage rides to Achterland, bicycle rentals, sauna and solarium, a hall for family celebrations or meetings, cosmetics and massage studio. Romantic swimming pools in Dewichow, Balm and Neppermin are located about 3 km away. There is a golf course near Balm Lake with 27-hole course and the imperial pools in the beaches are located about 10-15 minutes away from here. Short stays and check-in at any time are allowed in any season other than the peak season. Minimum stay is for 3 nights in peak season. Cot and high chair for children can be rented at 10 Euros per stay with prior registration. You can also check for holiday homes that can accommodate 6 people in this resort. This modern apartment is made from brick or stone and was originally built in 2006 and refurbished in 2014. The agent has rated it as a three star property so it is a well-kept apartment, equipped with standard furniture. It is also good value for money. The apartmentIt is located in Mellenthin, only 7km from Usedom. It is set in a good location: there is a restaurant only 50 metres away. You can also park on-site at no extra charge. The apartment is adequately equipped: it has a refrigerator. It also has some garden furniture outside.